Citibank allegedly made millions in “unjust gains” from governmental and not-for-profit counterparties by manipulating the USD Libor benchmark. Citibank will pay $100 million in the US for allegations of fraudulent manipulation of the US Dollar (USD) Libor benchmark. 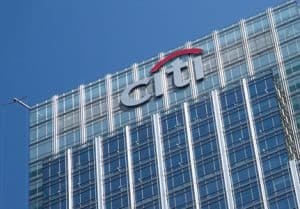 New York Attorney General, Barbara Underwood, led the settlement charges and following an investigation which claimed that Citi made Libor submissions to avoid negative publicity. In some cases, the bank’s Libor submitters allegedly asked colleagues to avoid offering higher interest rates than Citi’s submissions to secure funding because it could bring about negative media attention. The investigation also found that Citi believed at the time that other banks made USD Libor submissions that were inconsistent with their borrowing rates. Settlement documents showed that in March 2008, a Libor submitter at Citibank sent an instant message which said: “Libor is not a true reflection of anything”. Citi did not disclose the fraudulent Libor submissions to governmental and not-for-profit counterparties, but it made millions in “unjust gains” when those firms entered swaps and other contracts with Citi, according to the investigation. The authority added that governmental and not-for-profit entities with Libor-linked swaps and contracts will be notified if they are eligible to receive compensation from Citi’s settlement. With Citi’s $100 million settlement, the Attorney General has handed out fines worth $420 million related to USD Libor manipulation and fraud. The bank will continue to cooperate with the ongoing investigation into other USD Libor-setting panel banks.